First thing’s first. What is Instagram? Well, actually the question should be why is Instagram? Because the app itself is actually pretty basic to understand. Much like Facebook, it’s a platform where people go to socialize. The difference is, that all the posts consist of photos or videos and you can only really use the app on a mobile device. The app allows you to post pictures that, with the right filters and editing tools provided by the app, can actually look pretty good even if you’re not really the greatest photographer. So why is Instagram so popular? It’s just like Facebook or Twitter, only different. Between Twitter’s character limitations and the ever-present self-consciousness as you attempt to express yourself on Facebook, where everyone and your distant aunt is on your friends list, Instagram might be just the thing you need. There is also an emotional connection because the viewer must interpret what he sees, must connect the image to the usually small fragment of text, maybe add some more sense by reading the hashtags. It’s all a small but great puzzle that can create an emotional implication in this process and a stronger sense of connection. So all this is good and well, but can Instagram be used for business? It can and it is. Its focus on images and the sense of closeness that derives from them have produced new ways to use visual marketing. Instagram now offers a great opportunity for brands to diversify their content as a means to broaden their online reach and redefine their brand. 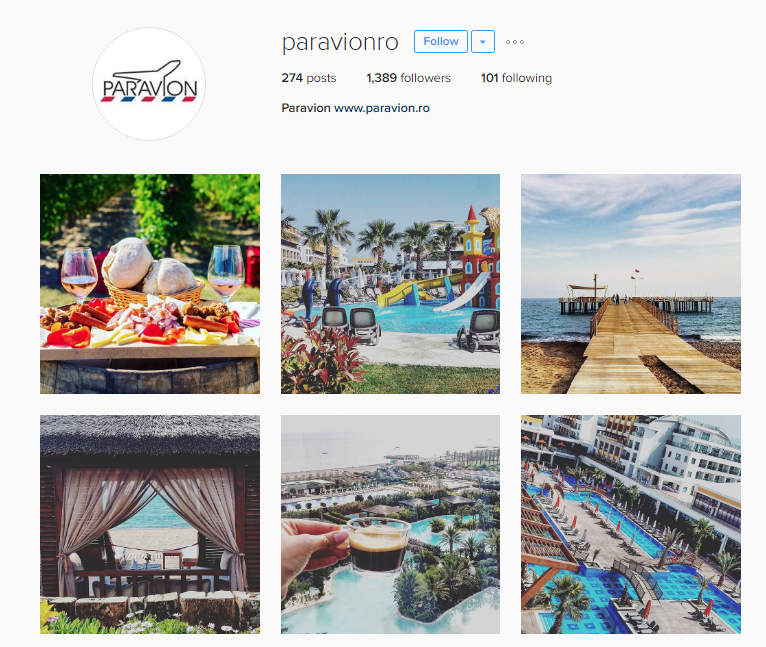 As of recently, Instagram has implemented another type of page: business profiles. With this new type of page , brands are instantly recognized as a business, they are able to get insights about followers and posts, all straight from the Instagram mobile app. As you might expect, this new feature was truly demanded since so many businesses took to Instagram to promote their products and services. This update gives users the opportunity to get more information about the companies and brands they’re interested in, while businesses get valuable insights on their demographics, on how their content performs against their benchmark KPIs and much more. Your main goal as a business is to engage with your current audience while also growing your following. Posting new, interesting and engaging photos will satisfy the first requirement but to truly begin growing you will need a much stronger strategy. Storytelling is one of the most powerful ways to bring your brand to life. You are able to give your products or services an identity by capturing and sharing their particular stories. Why not take your audience on a journey they yearn to experience? In order for your consumers to form and grow a personal relationship with your brand, they must first get to know it, to know the story behind it and to connect. Emotional branding is a particular marketing approach that actually has the potential to drive revenue and increase customer retention. How a person feels about your brand greatly impacts their decision to buy your product or not. Bottom line is that a brand is merely a matter of perception and you have the power to control that perception, to change and influence it. Each medium elicits a different reaction from your audience, so stories must be tailored to fit. The key to success is knowing which story to tell in which medium. Right now, we will be talking about Instagram and the main strategies to use here – a medium known for its visual storytelling. 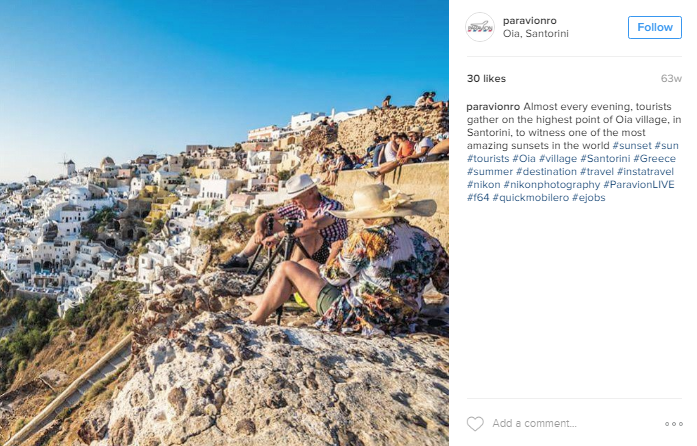 Over 85% of top brands have integrated Instagram in their marketing strategy, and with good reason! Did you know that brands that post frequently have an average engagement rate of about 2.3% which is actually miles ahead of both Facebook (0.2%) and Twitter (0.02%)? Surprised? However, even with this high engagement rate, every single brand on Instagram faces the same challenge: Instagram doesn’t allow you to add clickable links in captions. It comes as no surprise that the Instagram bio is one of the most important elements to promote your brand given that it actually is the only space you can provide a link to your website. It is the only real connection to your main website where people can shop or get to know you better. Only in the Bio section can you include links. So make them count! Include your company name in the Bio along with a way to be contacted by users. The contact information can be an email, company location or telephone number depending on how you want your community to get in touch with you. Obviously, you will also need to add your brand website to your Bio in the area for the URL. A well-known practice on Instagram is that, if you have an article or a special offer to promote, you can change the website link to that specific article or special offer. Another tip is to specify this information frequently. Example: you have a special offer for a new product so you post a picture of that particular product. Make sure you specify in the picture’s description the fact that the link to that particular product can be found in the Bio so that users know where to look. Also, a good practice is to include other Social Media accounts in the Bio. You can do this by including the usernames for all the other social channels you want to promote in order for users to connect with you on different platforms such as Facebook, Twitter, Snapchat or Pinterest. If you have a certain hashtag for your brand, be sure to add it in the Bio so your community knows how to tag their posts or how to look yours up. This way, you will have the ability to collect user-generated content to repost at a later date by searching the hashtag. Also, you can add a unique hashtag for a contest or time stated campaign that you are hosting so that users can easily keep up with the latest news. Your Instagram feed is the first thing users see when visiting your profile and, as in life, you want to make a good first impression. As Instagram becomes more and more popular, simply having beautifully edited photos is not enough anymore. Now you need to have a beautiful overall feed, too. The first rule of the game is that your Instagram needs to have a certain theme to it: fashion, travel, food, nature, etc. However, not every business can fit into a box like that. So, instead of choosing a theme for your Instagram, you can settle on a common aesthetic that weaves through all of your photos. Choosing an aesthetic gives you more freedom with the information you can post because, as long as your photo fits the “vibe” of your overall feed, you can post about pretty much anything you want. If you don’t already know what your overall aesthetic is, one practical tip is to scroll through your existing feed (provided you have one) and see what aesthetic your favorite photos or the most popular ones have in common. 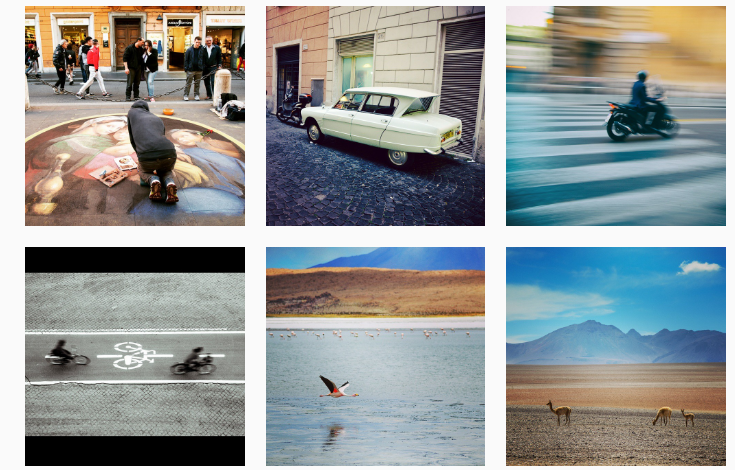 Also, to help you curate your feed you must have a consistent approach to editing your photos. This doesn’t mean you have to choose one filter only but limiting them to only a few will definitely help you stick to your chosen aesthetic. This process is important because it will definitely be something to take into consideration each time you want to post a new photo. So take a step back from posting and look at your Instagram feed as a whole: how do all of your photos fit together? The best feeds have a good variety of subjects that are evenly spaced out. Although it might be tempting, you shouldn’t only post photos of a certain product for which you have a special offer this week. Try some variations also. One of the hardest parts of making your Instagram feed look amazing is figuring out how to make all your individual photos look great beside each other. So, in addition to editing photos, you also have to be selective when it comes to choosing which photos you are going to post. Some of them may not make the cut and that’s OK. So now you’re ready to post this amazing photo to your Instagram feed but when it’s time to enter your caption, you can’t really think of anything good. We’ve all been there. Coming up with the perfect Instagram caption is actually harder than it may seem at first. However, it is very important to not let your Instagram captions become an afterthought. They are after all an important part of the message you want your users to respond to. It is important to remember that the new Instagram algorithm feed favors posts with a high engagement rate. So the more likes and comments your post receives, the more people will see your post. Therefore, a good call-to-action can help you get a lot more comments which can actually affect your overall Instagram marketing strategy. 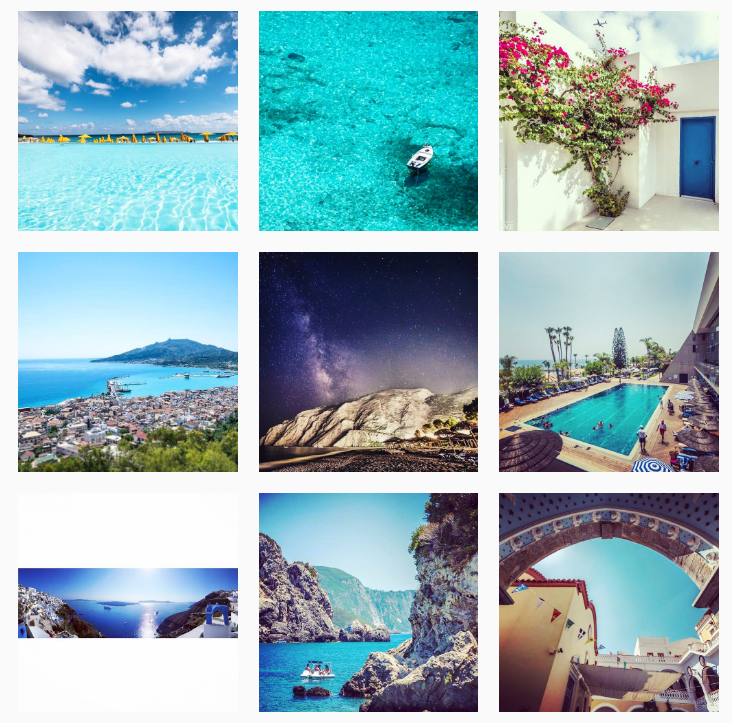 What makes a good Instagram caption great? Well, it depends. A really good one will provide context, add personality and inspire followers to take action. Well, not all of these at the same time but you get the main idea. Remember the storytelling part? This is where the magic happens. Instagram captions come in all shapes and sizes, from a short and sweet caption to a longer, in-depth storytelling post. Don’t have a good idea for your caption just yet? No problem. As of September 2016, Instagram lets you save drafts. So you can create the perfect picture with filters and effects but if you’re not ready to post it, no problem. Just save it as a draft and post it later. As you might have seen, hashtags are a pretty big deal around Instagram. It’s actually one of Instagram’s defining characteristic, right? However, adding a hashtag is by no means mandatory, but it is highly recommended. Just think about this: one single hashtag brings about 12% more engagement to a post when compared to the same post but without a hashtag. A hashtag is basically a way for new users to discover you. There are certain hashtags you can use if you want to promote a local business in a particular town, there are some dedicated to particular communities of users such as vegans or fashionistas. As you do with every marketing strategy, it is important to first accurately define your users, to find out what they are interested in, who they are and where they are. The hashtag is the Instagram way of targeting your users. However, you can also make up your own hashtags so that people can tag their posts or find your posts faster. This is also a great way to have organic generated content with no effort on your part. Customer engagement is key on this platform. Give your followers a chance to help you grow your business! When talking about influencer marketing, Instagram is actually one of the best performing channels for social action having an average 3.21% engagement rate compared to 1.5% across all other social platforms. Some might argue that influence marketing can get pretty expensive and that it can also be quite hard to track. But that’s not really the case. With most Instagram campaigns, influencers will share a link in their Bio and direct followers to that link because links in captions are not clickable as we mentioned before. You can definitely follow the traffic coming to your site through that particular link and see exactly how much value it actually brings to your business. While paid ads can generate more clicks and even more conversions, the lifespan of an influencer marketing campaign is definitely longer. You are using influencer marketing not only to drive more sales on your site, but to have a permanent place in the mind of your consumer. By associating your brand with an influencer, you are adding another important part in your brand’s story. This will have a long lasting effect each time so choose your influencers wisely! In August 2016, Instagram introduced Instagram Stories which was a bit controversial because it seemed like Instagram was just adding the popular Snapchat feature. However, things are not quite as they seem. With Snapchat, one of the biggest challenges is discovery. For a business, it is extremely difficult to get people to follow you by only using that platform. Users have to know your Snapchat name and add you to their friends list and there is no search functionality in Snapchat. Business have spent time building up their Instagram following and everyone has found it very difficult to move followers over to Snapchat. But this is where Instagram stepped in. Now, you are able to share Snapchat-like content. Instagram Stories makes it possible for you to share a series of photos or videos that will disappear after 24 hours. So now there is a space to share the content that wouldn’t make the cut for your highly curated feed. Another problem marketers have been having with Instagram is the fact that there isn’t much data to analyze. 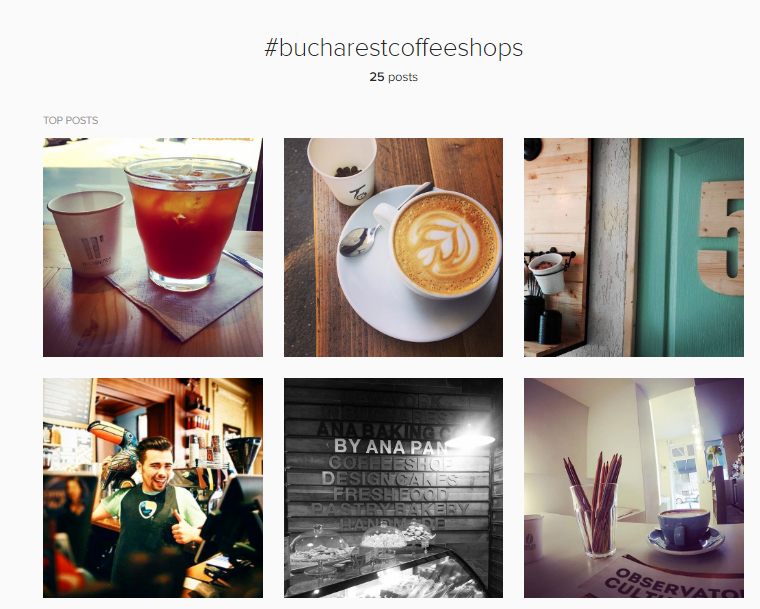 However, earlier this year, Instagram has launched the new business profiles. Similar to the Analytics provided by Facebook, Instagram now has its own Analytics that will give you valuable data about who your followers are, when they’re online and how many people viewed you Instagram post. You will have a great follower demographic analytics that will give you information such as location, gender and age about your followers. Also, this new insights tool will give you information that will help you plan your posts. The new Instagram analytics will show you the most popular times of day when your followers are using Instagram. The “Follower Activity” module is viewable by hours or days and displays “the average time your followers are on Instagram on a typical day”. By knowing when your audience is most active on Instagram, this data will help you schedule Instagram posts for optimal times. Knowing where your followers are located, how old they are and when they are most likely to be on Instagram, you will be able to create better content and market yourself more effectively. The conclusion is actually a fairly simple one: content is king. As long as you make sure you have good, engaging content, you really can’t go wrong. Adapt your style to each platform and make sure you speak to you public rather than at them. Build a good Social Media strategy and adapt it as you obtain more and more data. If you need help with finding the right Social Media strategy or maybe help with implementing it, you can always contact us for Online Marketing services.